Course Website: Official Website - Visit Olympic Club (Lake)'s official website by clicking on the link provided. Accolades: Ranked 14th in California on Golf Course Gurus' best in State list. What to Expect: The Olympic Club is one of the most storied clubs and courses on the American continent. 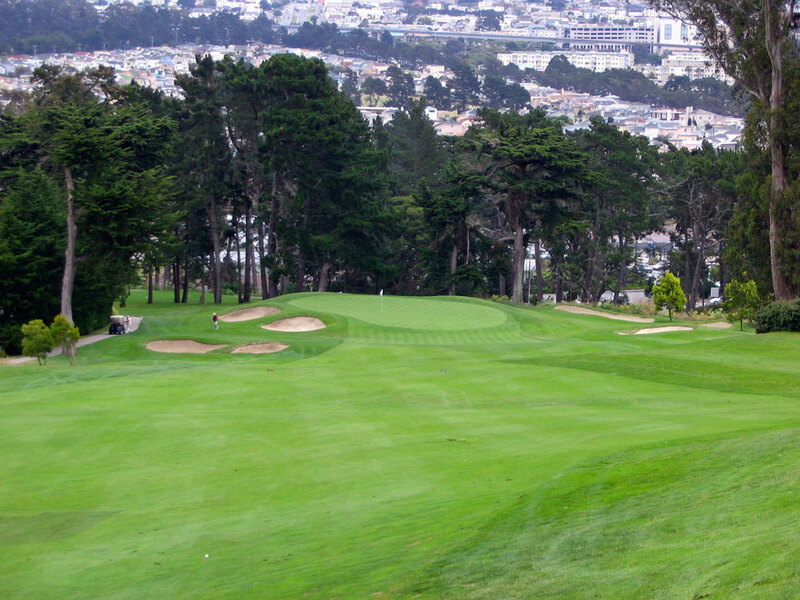 The hilly heavily tree lined San Francisco course has hosted numerous championships including the Tour Championship in 1993 and 1994, the U.S. Amateur in 1958, 1981, and 2007, as well as the U.S. Open in 1955, 1966, 1987, 1998, and will host it again in 2012; few course can boast that kind of resume. What is even more remarkable than The Olympic Club's championship history is the fact that it has done so while boasting no water hazards and just one fairway bunker. The trees and rough are Olympic's biggest defender while the routing requires players to shape tee shots all day long if they expect to record a respectable score. The variety of hole lengths at the Lake course at The Olympic Club creates great appeal and drama. Par 3s range from 137 - 223 yards, Par 4s 288 - 457 yards, Par 5s from 522 - 609 yards, and one of the most dangerous greens located below the clubhouse on the 347 yard finishing hole. The Lake course at the Olympic Club is the ultimate shotmakers course that delivers plenty of teeth without obsurd length. 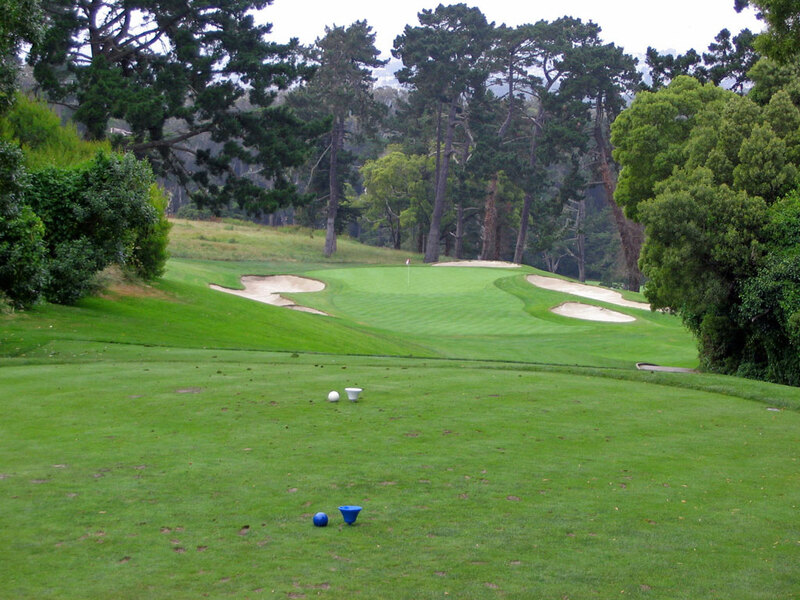 Signature Hole: 18th Hole – 347 Yard Par 4 – Olympic Club's finishing hole is often touted as one of the finest sub-350 yard par 4s in the country and is a favorite of many golfers that visit this storied course. What makes it great is the view of Olympic's impressive clubhouse, the sloping fairway, and a green that makes your knees knock and can quickly add strokes to your score. This green has been the subject of criticism from pros that played in the 1998 U.S. Open, but is the subject of praise from golf course architecture junkies. In fact, Payne Stewart's name might have been on the 1998 U.S. Open trophy if it weren't for a three-putt on this challenging green. No matter what your take is, this hole will certainly be a topic of discussion while enjoying a drink at the 19th hole. Best Par 3: 3rd Hole – 223 Yards – This slightly downhill one-shotter provides a stout test early on in your round. Protected by four bunkers, the hole slopes away to the right side. Playing from the bunker on the left, the golfer is faced with the fear of over shooting the target and having their ball scurry down the hill. With a pair of bunkers and the hill on the right, there is no safety offered on that side of the hole either. If you want to take Billy Casper's approach he used at Winged Foot, a layup area is offered short of the green where getting up and in is a legit possibility. Best Par 4: 4th Hole – 438 Yards – When you get to the 4th hole, your mind will be rehearsing every Golf Digest lesson you've read on shaping your tee shots. This dogleg left starts a steady dose of holes where shaping the ball becomes critical in scoring well. 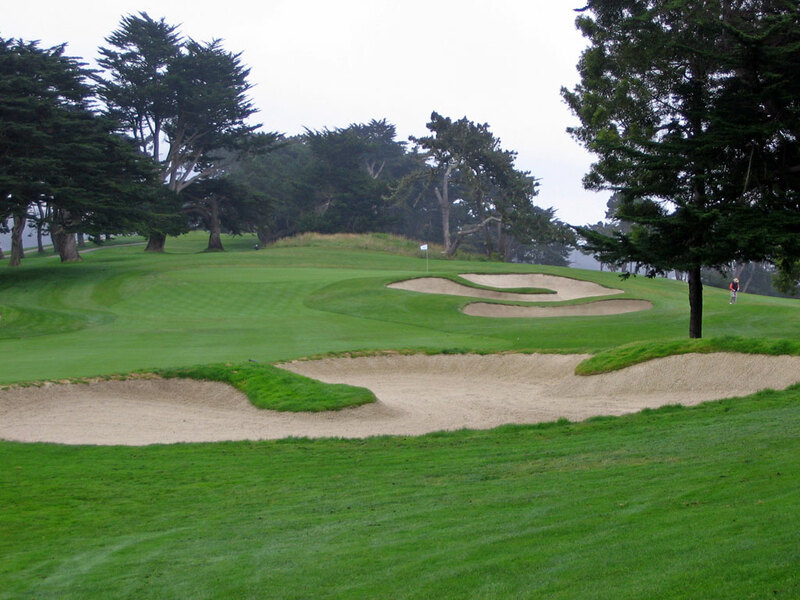 In fact, I've never played a course that demanded shotmaking quite like the Lake course at Olympic club. Most players will hit something less than a driver in an effort to avoid going through the fairway, but even a perfect lie in the short grass is no guarantee of a good score as the golfer is then faced with an uphill, blind approach shot with plenty of length to chew off. To cap it off, the green slopes hard left-to-right and caps off the challenge that Olympic Club delivers to its patrons. Best Par 5: 1st Hole – 533 Yards – The opening hole at Olympic's Lake course is a reachable, downhill par five that offers a great opportunity to jump off to a quick start. 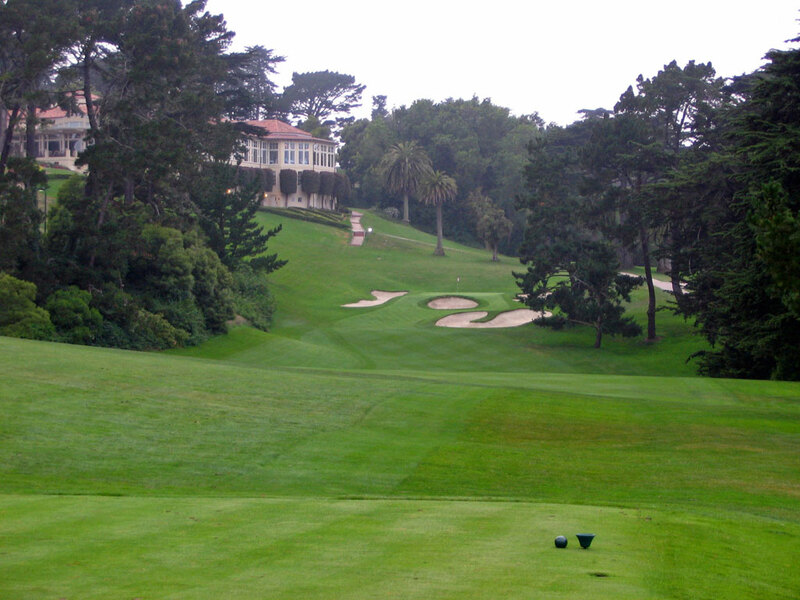 At a championship course like this San Francisco gem, this starting hole offers the golfer to build up some confidence before taking on a tough gauntlet of holes. The hole turns to the right as it tumbles downhill and feeds into a pair of bunkers about 40 yards short of the green. These bunkers come into play if trying to chase and long second shot into the putting surface or as a visual distraction if you choose to layup short of them. Devoid of any other trouble, the 1st hole is a eases the golfer into the round and gets things started right. Birdie Time: 7th Hole – 288 Yard Par 4 – Sub-300 yard par 4s are great chances to earn birdie, and the 7th hole at Olympic Club is no different. The hole plays steadily uphill and offers a relatively flat area to play from about 100 yards from the green, which is a great layup distance for many golfers. However, the three tiered green can cause trouble with the flatstick once you are in a position to score. Don't take my word for it, just take a look at John Daly's scorecard from the final day of the 1998 U.S. Open where Mr. Grip-It-and-Rip-It recorded a six after driving the hole with his 3-wood. Bogey Beware: 16th Hole – 609 Yard Par 5 – While plenty of hole on the course are legitimate bogey beware candidates, the 600+ yard 16th hole is featured here. Unreachable in two by most human standards, this hole requires the golfer to string several good shots in a row to come out even. Approach shots that aren't coming in from the right side of the hole flirt with some possible obstructions while the green is protected in the front and right by sand. More than anything, Olympic can be a draining experience if you aren't playing your 'A' game and seeing a 600+ yard hole this late in the round can be demoralizing to many golfers which often results in a bogey, or worse.